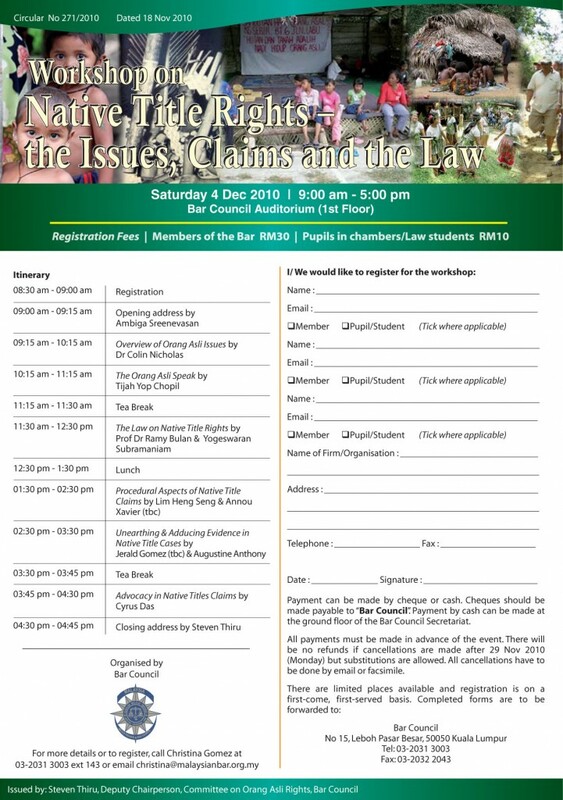 The Bar Council Committee on Orang Asli Rights (COAR), Human Rights Committee and Professional Standards and Development Committee, are co-organising a workshop on “Native Title Rights – the Issues, Claims and the Law.” The aim of the workshop is to equip lawyers with the fundamentals of the law and practice on native customary rights claims. 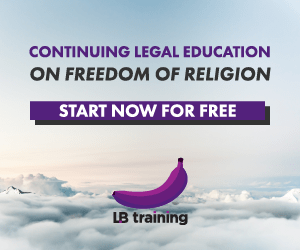 We have invited lawyers with vast experience and knowledge in this area to conduct the training. In addition, Dr. Colin Nicholas (Director of the Centre for Orang Asli Concerns) and Prof Dr Ramy Bulan (Centre for Indigenous Studies, Universiti Malaya) will speak on current issues and challenges faced by the Orang Asli. Representatives from the Orang Asli community will be in attendance. COAR recently organised a public forum to discuss the proposed amendments to the Aboriginal Peoples Act 1954 and its impact on the land rights of the Orang Asli. The more than 190 Orang Asli who attended this forum provided accounts of exploitation, discrimination and deprivation of their livelihood. These were stories of misery and hardship visited upon the poor and downtrodden of our land. It was an eye opener for many and heart wrenching to all. It was clear that the Orang Asli had come to the forum to appeal to the Bar. It was a desperate cry for help. In the wake of the forum, and our experience in dealing with Orang Asli claims, we need a large number of lawyers to represent the Orang Asli in court to expose the injustices that have been perpetrated against them. Their claims revolve around native customary rights to their ancestral lands and the denial of their economic, social, cultural and religious rights. Join us in this endeavour to assist the Orang Asli. Come attend the workshop to learn more. For more information, please refer to the programme and the registration form below (click on it to download). Should you have any queries, please do not hesitate to contact Christina Gomez via telephone 03-2031 3003 ext 143 or e-mail. Posted on 20 November 2010. You can follow any responses to this entry through the RSS 2.0.